The 2019 European MD900 Explorer helicopter user group meeting was held at Antwerp, Belgium and Woensdrecht, The Netherlands. In total 32 participants joint the meetings sharing experiences on the operations and maintenance of the MD900. The Belgium Federal Police and Specialist Aviation Services Belgium were the host during the first day on Monday April 1st 2019. 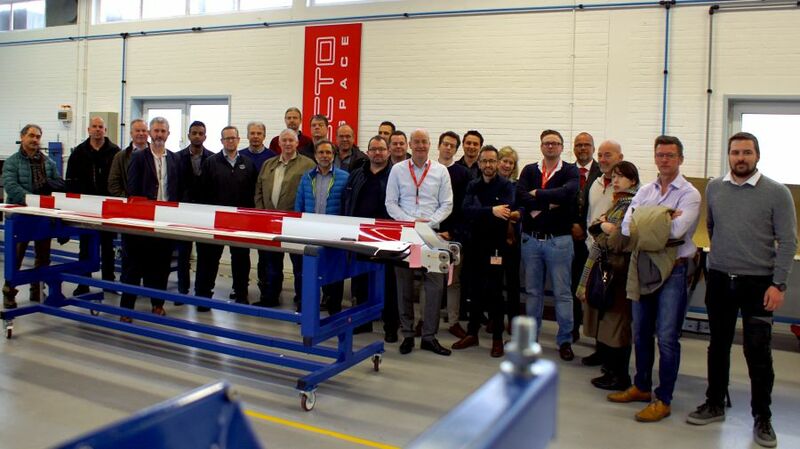 The second day the group visited SPECTO Services at Air Base Woensdrecht. SPECTO Services is an EASA and FAA Part 145-certified maintenance company located at the main support base of the Royal Netherlands Airforce. The company is a specialist in maintenance of composite structures, with a focus on civil and military helicopter rotor blades. The MD Helicopters MD 900/MD 902 Explorer is a twin-engine eight-seat light utility helicopter operated in emergency medical services (EMS), law enforcement, VIP and both military and paramilitary missions. The helicopter features the MD Helicopters-exclusive NOTAR® anti-torque system for increased safety and a bearingless five-blade main rotor with composite blades. With more than 2,500 aircraft currently in service around the world, MD Helicopters is focused on product sustainment, services and customer satisfaction. By partnering with specialized repair stations as SPECTO Services, MDHI operators will have aircraft ready to fly whenever duty calls.